I ran the worst timed 5K of my life Sunday afternoon and had the best time doing it. This fall, my 9-year-old daughter joined Girls on the Run. If you’re not familiar, it’s an after-school program centered on getting girls together to hang out and have fun while exploring ideals like confidence and fitness. The culmination is participating in a real 5K – in this case, held in conjunction with the Nike Heartland Regional high school cross country meet. Same day, same soccer complex, same grass course – mounds, hay bails and all. The participants are required during the race to pair up with a coach, a friend or a parent. Boom – finally a role I can handle without feeling anxious or awkward or inadequate. Mark Covert, I am not. Never heard of him? He’s a 62-year-old Californian who jogged at least one mile every single day for 45 years, a foot-crushing run streak that ended in July. I’m also not Scott Nelsen, a friend and loser of roughly 100 pounds over the course of a nearly year-long streak that ended cruelly due to a car accident. He’s the inspiration for starting a streak of my own. On Sunday, it reached 101 days. Again, no big deal in the grand scheme of things. But it’s by far the most I’ve ever strung together – probably 10-times over – and an interesting ongoing experiment. Hope you’re in the mood for some first-world problems. Because I’ve got a doozy. So. How ’bout that election, huh? I bet some of you even stayed up past your bedtime tracking results, flipping channels and analyzing analyses. 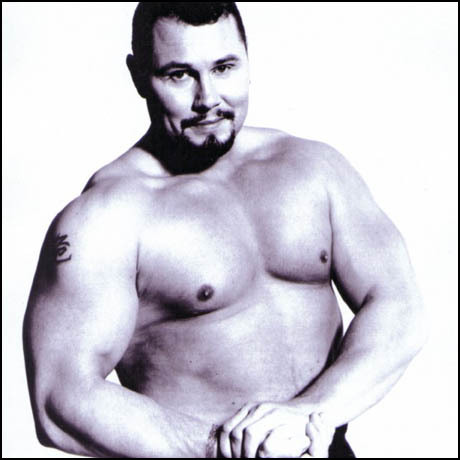 Move over, Magnus Ver Magnusson, assuming you’re still alive – there’s a new strangely compelling, made-for-TV sport featuring a cartoonishly buff Icelander. 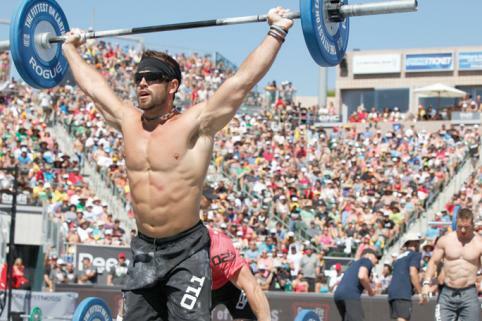 Have you seen the CrossFit Games? They’re like the old World’s Strongest Man contests with an additional fitness component. Instead of tossing beer kegs, participants compete in a series of exercise-based challenges with confusing names. To wit, The Fran consists of 21 reps of 95-pound thrusters (a combination of squat and military press) followed immediately by 15 pullups then 15 of each and nine of each. With no stopping in between. Scores are based on times. Best case scenario, you’re done in roughly 3 minutes. Three minutes isn’t a long time to jog, but it’s an eternity in terms of strength training. What’s more, it’s not exactly a smooth motion. Remember in junior high gym class when kids would swing and flop and wiggle in an attempt to squeeze out a single pullup? The CrossFit folks have that awkward motion down to a science. Of course, The Fran is just one of the disciplines that comprise an entire CrossFit routine. 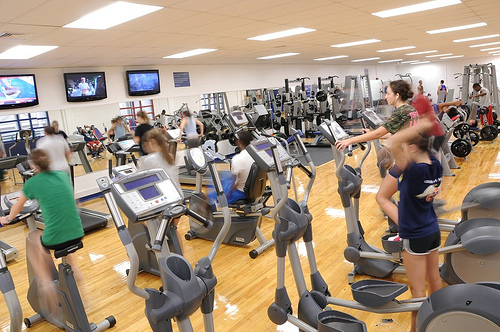 Best I can tell, there are about 12-15 different stations incorporating swimming, running, biking and strength training. The events vary (some seem to favor large humans, while others are cut out for smaller people) and competitors aren’t told in advance what will be included, forcing them to be ready for anything – like studying everything in advance of a test. And you have to survive two rounds of competition before earning entry into the finals, featuring the 50 fittest men and 50 fittest women on the planet. Does that label hold as true as sponsors Reebok and ESPN would like them to? It’s hard to say. I’ll go with a firm maybe, while admitting it’s entirely impressive. A couple of years ago, I got into a group fitness class at my gym called Xplosion, which is somewhere between circuit training and CrossFit and nearly killed me. Twice. Even though I exercise six times a week. Turns out I’m not very good at breathing while exercising, one of the underrated challenges of such intense and prolonged exertion. The stuff they are doing is legit. Meanwhile, I find myself being distracted by another question: Are these ladies and gents using performance enhancing drugs or not? At this point, I’m leaning toward no for a couple of reasons: The CrossFit movement seems to pride itself on legit and natural fitness – it’s like the exercise world’s answer to going green. Also, the athletes don’t look as ballooned. Don’t get me wrong: They’re big, maybe even huge (ala Kenny Bania). That’s not hard to determine because what little clothing they wear – lots of sweaty skin to be had – is made of Lycra. There’s a marked difference. The latter is more in line with modern fitness ideals: We know more about training and nutrition and value functional strength and lean muscle over sheer bulk and one-way power. Are the athletes clean? I’m not sure that it matters, at least not to me, no longer an impressionable youth. I dabbled in supplements in college, and it didn’t go well. But I like the idea that the CrossFitters are grinders more than genetic freaks, not just the children of 6-foot-8 Scandinavians. It makes them more accessible, the show more watchable. Not that I wasn’t all in already. I’ve been unable to turn away when stumbling onto the CrossFit Games, usually late at night and sometimes when on the treadmill. It’s as mesmerizing as the P90X infomercials and Nathan’s Hot Dog Eating Contest. The events are interesting, the performances impressive and the competitors international. The reigning women’s champ is Annie Thorisdottir, a 5-foot-7, 147-pound, 22-year old from Iceland. And, yes, her name seems to indicate that she is the daughter of Thor. I need to get something off my chest, er, arms. Namely, sleeves. When at the gym. Stick to that workout resolution or pick a new one. I don’t need a calendar to know that a new year is underway. It’s obvious by the throng of people – nay, newcomers – at my gym. See, I’m not against New Year’s resolutions or people improving their health. Quite the opposite, actually.